American Shave offers a variety of massages and modalities that contribute to natural healing. Crafted for men, offering Swedish, Hot Stone, Shiatsu, Sport, Cranial and Reflexology Therapy. Skin and nail care services are designed to give you the perfect balance of relaxation and therapy. Using state of the art technology we can address all types of skin and nail concerns. These services will give you the results you want without sacrificing the therapeutic elements. Haircuts are performed with the client in mind. Carefully mastered to fit each canvas, using the latest techniques and skill set. No two haircuts are ever the same. Allowing each haircut to be specifically tailored to you. 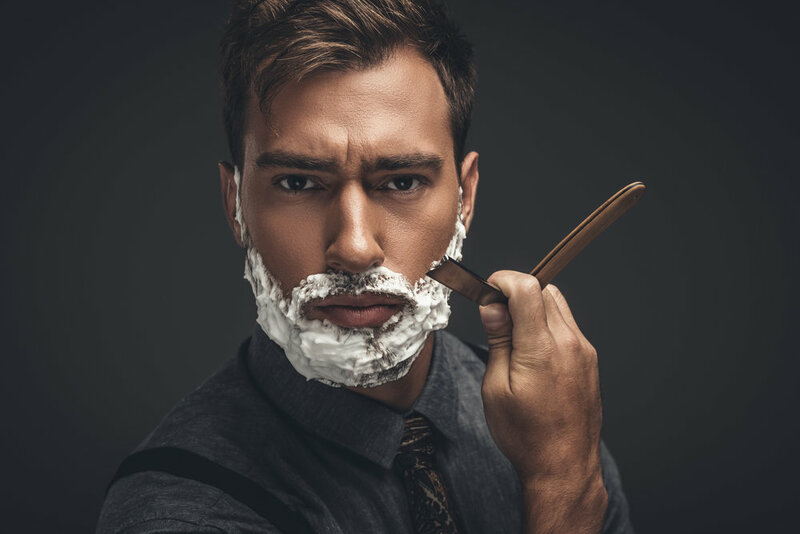 Among other things American Shave is the location of choice when it comes to men's after care. We have a variety of products catering to men's wellness and grooming. Supplying shampoos, hair products, shaving equipment, face care and nail care. You'll never have to search anywhere else for your grooming needs. Each shave gives the client an experience every occasion. Mastering in all elements of the perfect shave. Our expert tonsorial professionals guide your face to perfection, infusing natural oils and creams. Become part of the best membership program exclusively for men. As a member you get access to discount pricing, VIP events, and offers. Being part of the brotherhood at American Shave lets you personalize and achieve your own desired look. Perfectly groomed is the lifestyle choice of all our members. Your journey starts now. We respect your privacy and protect any information we collect about our consumers. Thank you for joining the American Shave Brotherhood!